Fire Krakkor is sired by the Russian import Krakov, who is sired by Aswan. 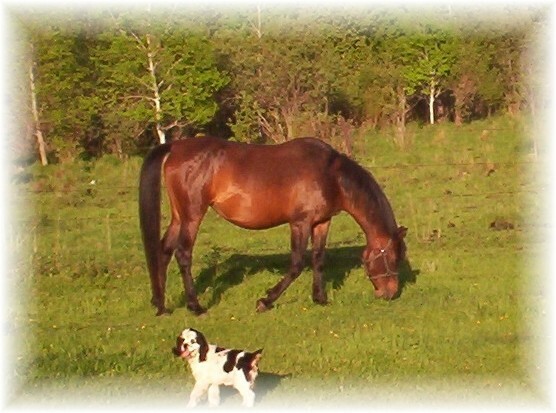 Aswan was the premier sire at the Tersk Stud in Russia until his death. 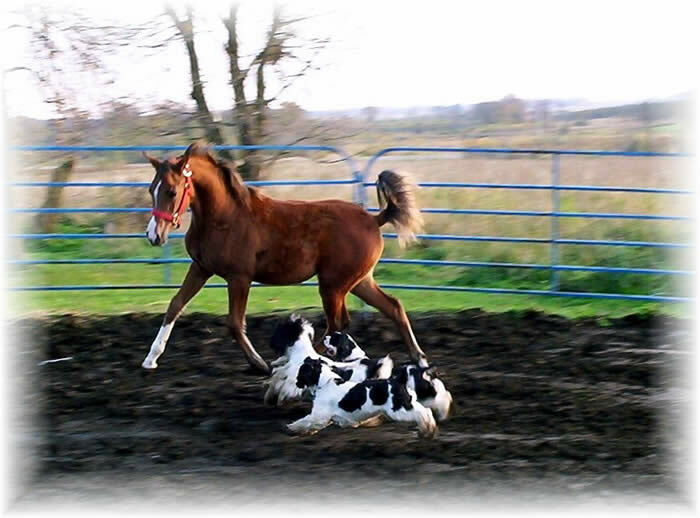 Fire Krakkor's grand-dam on his sires side is Kiprida, a Priboj granddaughter sire by Pomeranents. Through these bloodlines Fire Krakkor has a balanced gait, brilliant motion and powerful hock action. 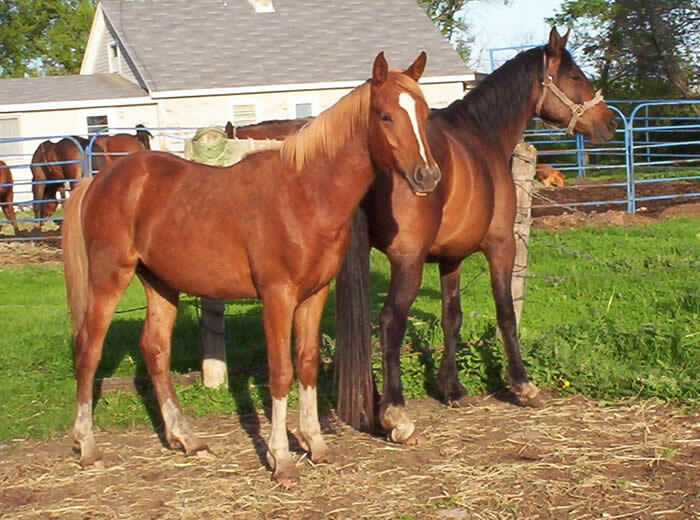 Fire Krakkor's dam is the beautiful Bonnie Sara, a granddaughter of Sureyn and Barnby, bred by Herb Mauritson. 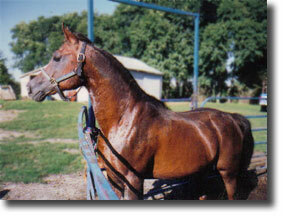 She was a beautiful mare with a gorgeous head, big eyes, elegant neck, long level croup and very correct legs. 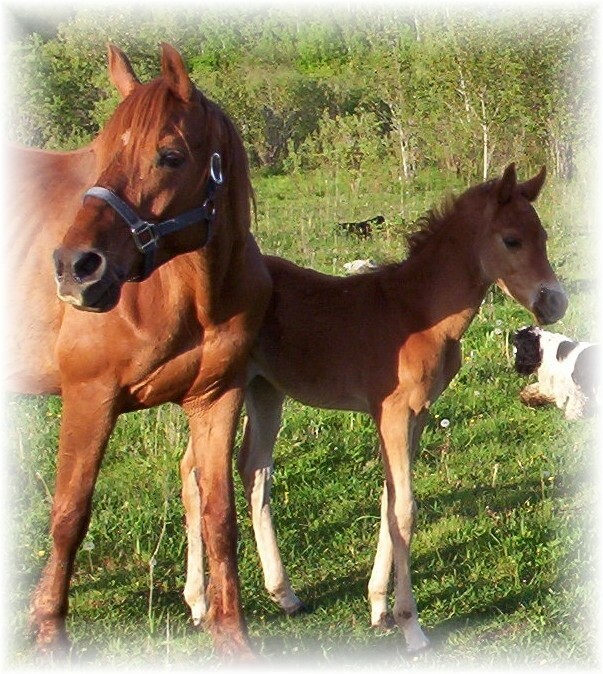 These bloodlines, going back to many famous horses like Mommona (the queen of Tersk), Rissla, Nazeer and Skowronek shows that he has the bloodlines to produce. Fire Krakkor has a powerful well-structured shoulder, short back, long deep hip and level top line. He has a wonderful disposition and a desire to please. Sandy Baumgartner, former trainer of Er-Mar Arabians, took him to his first English class and placed, and that was all in 6 weeks. 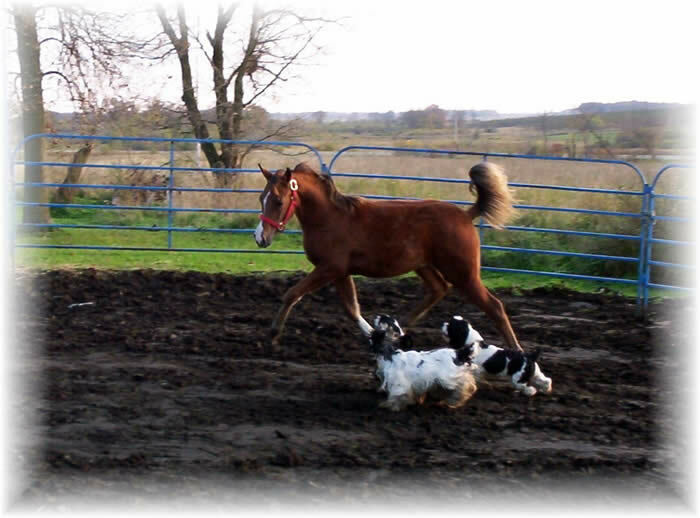 He also did well as a halter horse till an injury to his leg took him out of the show arena. He is 15 hands tall but in front of a crowd you would swear he was 10 feet tall and bullet proof. 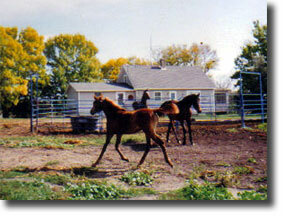 Fire Krakkor has passed on all these great qualities of power, grace and elegance to his foals. 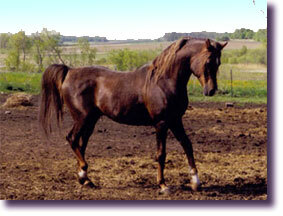 He has been bred to all types of mares and has successfully produced size and type. 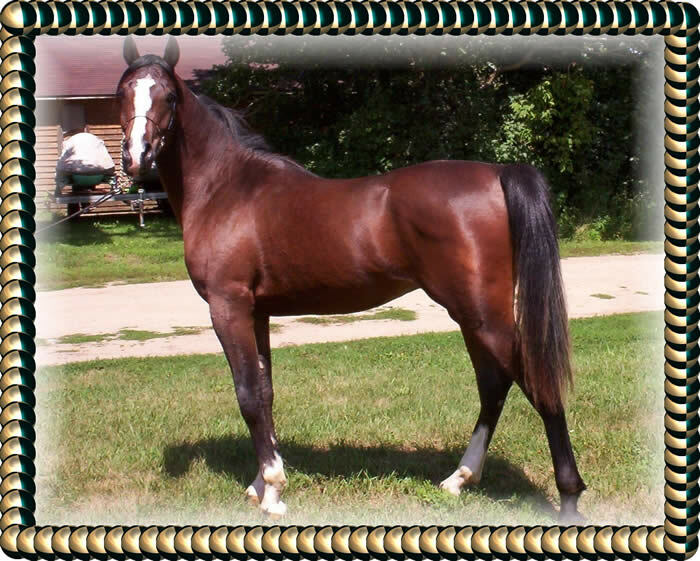 He is Dakota Classic Nominated Stallion/Sire. 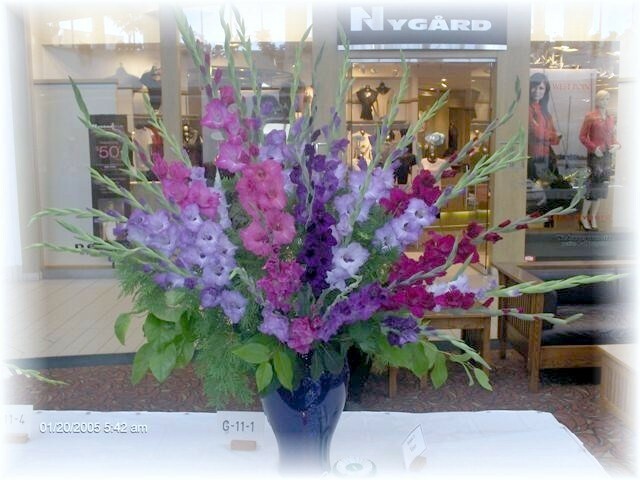 For More Information On Purchasing Bulbs and/or Cut Flowers. Call or email us today about stud service.